Metal halide/HQI lighting is nearing the end of its reign over marine reef aquariums. Require the use of chillers or cooling fans. Emits dangerous UV light (HQI) that requires a protective shield. High energy cost including chiller operation costs. Does not cover the entire useful spectrum (PUR) corals require which in most cases made adding supplemental lighting necessary. Can only be dimmed to 50% of full power. Cannot start in a dimmed mode. With Orphek LED technology, the above negative factors are not present. Orphek LED Pendants produce very little heat, require no lamp changes and energy cost is cut by more than half. Every day more people are upgrading from metal halide to Orphek LED Pendants. A most notable benefit is that Orphek can build and customize a pendant for any Kelvin temperature necessary, and for any application. Our new 8,000K and 18,000K LEDs are the only LEDs made that can produce a white light with no supplemental actinic lighting required. Our LEDs are not off the shelf LEDs like other manufacturers use. We design our own LEDs and they are manufactured to our strict specifications. Our lighting systems are not rebranded Chinese lights; they are solely designed for growing corals and growing them quickly. Own a deep tank, no problem with Orphek LED Lighting systems which easily provide the needed PAR and spectrum for very deep aquariums. Orphek LED Lighting is widely used in public displays and public aquariums for just that reason. Many hobbyists believe quality LED lighting is too expensive but you must realize the cost of the fixtures, lamps, reflectors, ballast, cooling fans or a chiller, nears or exceeds the cost of a quality Orphek LED Pendant which will last for many years. Furthermore, the energy and maintenance cost saved soon pays for LED lighting. Metal halide systems typically produce a lot of noise generated by large cooling fans and/or chillers. Our whisper quiet cooling fans used to keep the electronics cool run at a noise level that cannot be heard. Isn’t it time you quit throwing your money away on energy use and replacement lamps? 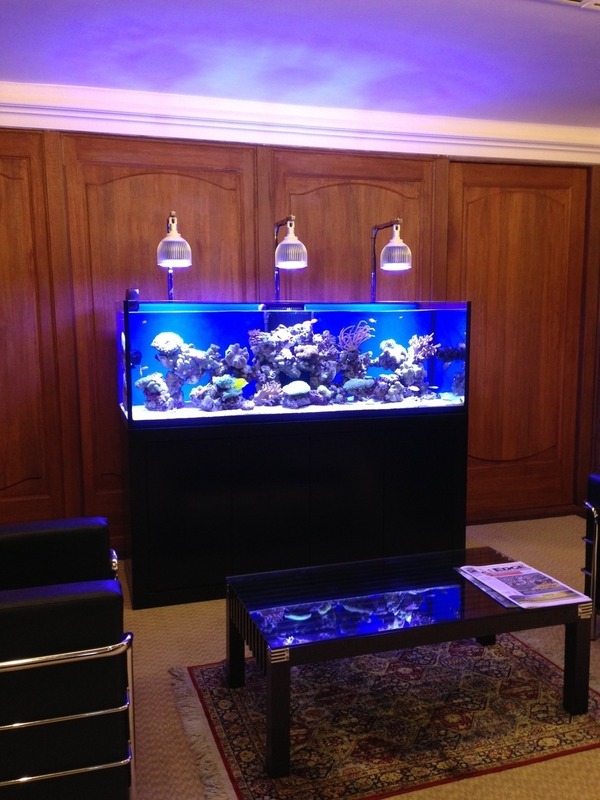 It’s time to buy Orphek LED Lighting, your corals and your wallet will be glad you did.